PORON Comfort Insoles Makes Walking More Comfortable. Tired feet? Aching back? Headaches? These could be symptoms of ‘step-shock’ Every time you take step a shock wave travels through your feet, legs, spine and neck. These insoles are made from a special cushioning material called PORON which is shock absorbent. It’s like having millions of tiny springs beneath your feet making walking more comfortable. A simple way to improve your foot, leg and back comfort. Available in shoe sizes 3 to 13. I have found Poron comfort insoles to be the most comfortable for my feet. I love them and they make such a difference. 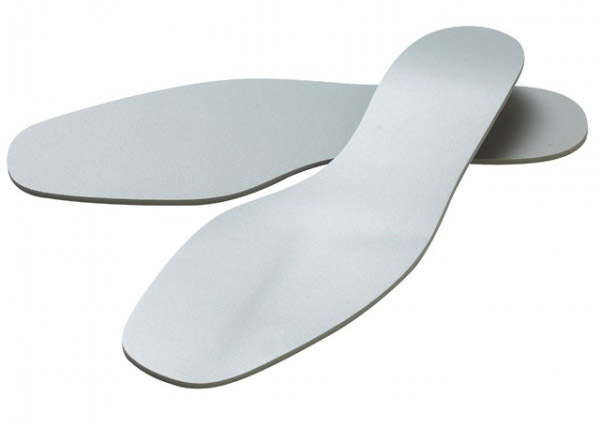 I walk a lot and they ensure my feet don't cause me a problem, which they would without these insoles.